40mg per mL in a 30mL bottle. 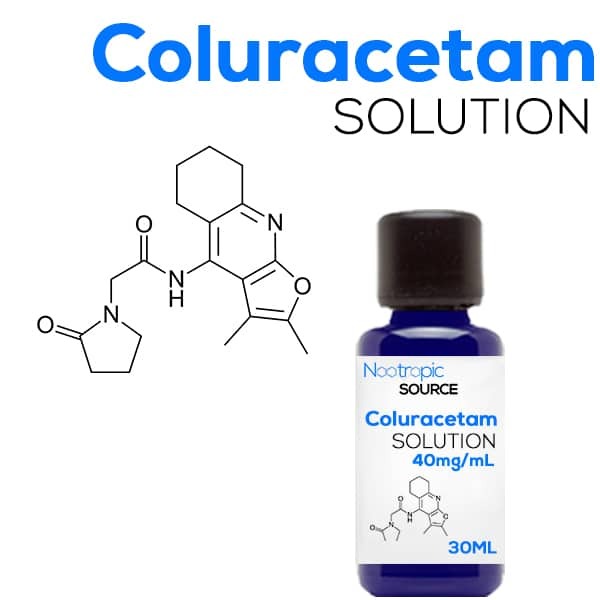 Coluracetam is a nootropic that was derived from racetam, although very distinct from other compounds like Piracetam and Aniracetam. Coluracetam appears to interact with a process known as high affinity choline uptake, which is the rate-limiting step of drawing choline into a neuron for synthesis into the neurotransmitter acetylcholine.